This weekend my newly-turned 10-year-old had a monumental event of going to the American Girl store for a birthday party. For as those in the AG world know, this is HUGE. What’s even bigger is she went by herself. Well, of course, with the mother of the birthday girl, but she went to the “big bad city” without me. I’m not saying I’m a helicopter parent, but I am saying that there hasn’t been a whole lot of times that she has done major things without me. But this is good! I was raised very independent (it was the 70’s baby), but due to different times and Dads, my girl hasn’t flown the coop much. Until now. I couldn’t wait for her to return and tell me all about her day, what she saw, what she experienced. Tell me, not experience it together. It’s so important for our kids to have their own memories, ones they share, but share by their perspective. As she was getting ready in the morning, I watched as she dutifully chose a dress to match her doll’s. Kanani (her AG doll) has seen better days. Her hair is a ratted mess and she has a permanent “scar” on her face. But she is loved and today she was dressed to the nines, complete with matching flower headband. 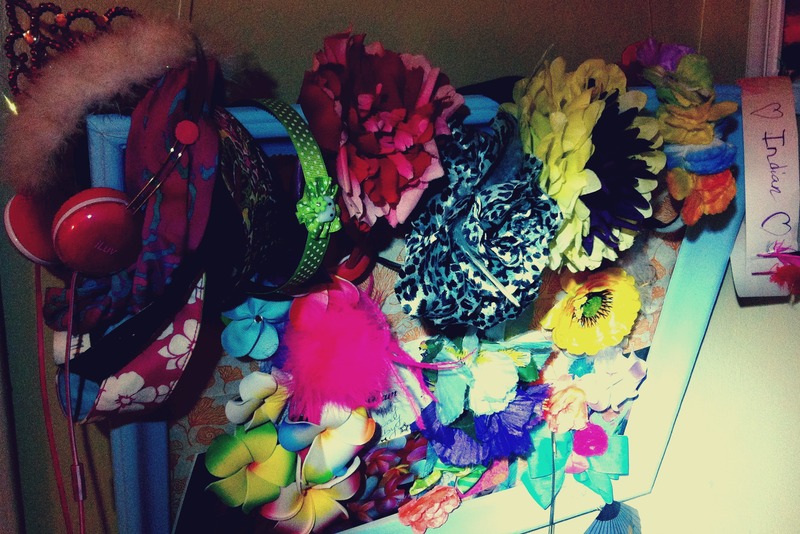 My daughter loves her headbands; from preschool to 5th grade, she has had an oversized flower in her hair for every school photo. 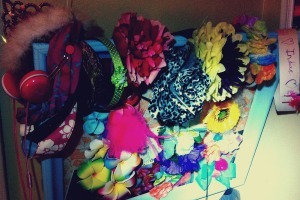 Her accessory frame hold headbands and flower barrettes collected over the years. They are hers and they say something about her. She is an individual, she has something to say.